Our accommodations are located in the the villages of Largentière and Tauriers, in feet of the cévenole Ardèche, it is the end of the olive tree and the beginning of the sweet chestunts tree. We enjoy the mild mediterranean climate that charactérizes the lower valley of the Ardèche. The region has developed around the city of Largentière and its silver mines. This countryside has long been coveted throughout history which explains the multitude of castles which defended the 'treasure' (5 castles remains within an area of 4 km). After the Middle Age time, the region has started to raise silk worms in order to produce silk thread for the silk industry in Lyon, a time where landscape and heritage has been modified also. People have planted mulberry trees, transformed their houses into "magnanerie" a place where they could raise the worms etc. 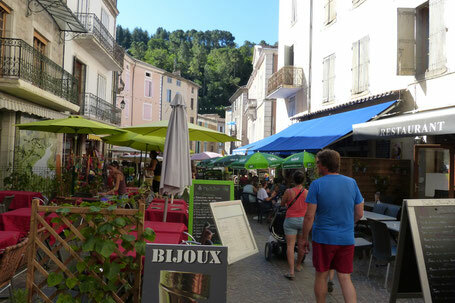 Nowadays it is a peaceful palce for your stays and for your walks in south Ardèche surrounding us. You will stay within the heart of medieval cities and castles of the Val de Ligne. Today the Val de Ligne still has in existence the remains of 5 castles from the castle belt, which was built to defend the village of Largentière. This region is not only just an historical region but it is also where gastronomy and life quality is valued and shared by everyone. 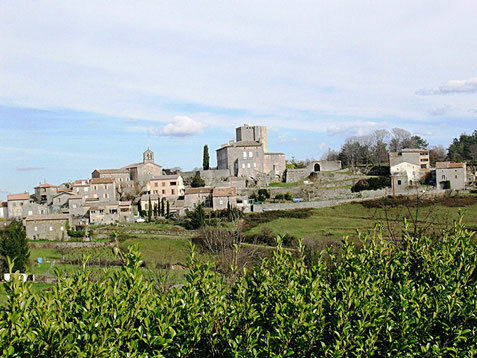 Tauriers dominates the valley, its castle stands on top of old village, no shops inside but Largentière is only 3 km far. From your accommodation you will be able to start good walks by foot or bike. You will also find a horse ranch nearby at only 800 meters, and you will be able to go for a horse walk with professionals. The south of the Ardèche is famous for its many possibilities for outdoor activities. Walks by foot or by mountain bike, large choices of walks starting you’re your accommodation. Horse riding possible in Tauriers at Horse ranch Centre équestre Les Lauzières. 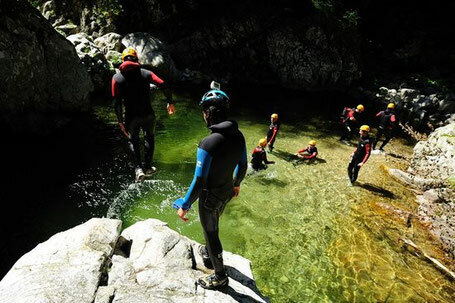 Canyoning, caving, climbing, several guides will offer you different possibilities nearby Largentière :(Baptiste Force Acroforce, Lionel Rias Artisan du Plein Air , Gilles Crémades Ardèche Equilibre). Treetops circuits in Grospierres (20 km) with wheely slides of 200 meters throughout the river Chassezac! 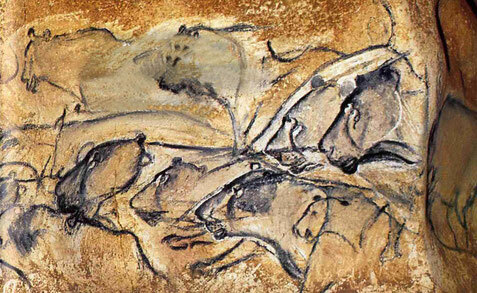 The Pont d'Arc cavern (26 km) : the largest decorated cave replica in the world features an extraordinary collection of paintings, drawings, and engravings reproduced from the Chauvet Cave, a UNESCO World Heritage Site. 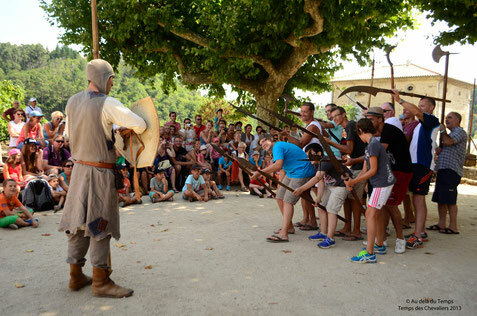 Cave of Orgnac : visiting the cave and the prehistoric museum. Montréal Castle : One of the fortification that protected Largentière (Visits possible everyday and closed only in February, shows and demo in July and August only) located at 3 km. Défilés de Ruoms : Tourist route along the D4 road towards Largentière, carved into the rock in the 19th century and offering a spectacular view of the limestone cliffs. Païolive wood: (20 km) The Païolive Wood is a petrified forest of rocks in the midst of a durmast oak wood that forms a vast natural labyrinth, creating a strange and fascinating area of cliffs, towers and arches. Intermarché in Rosières (8 km). E. Leclerc in St Etienne de Fontbebellon (16 km).